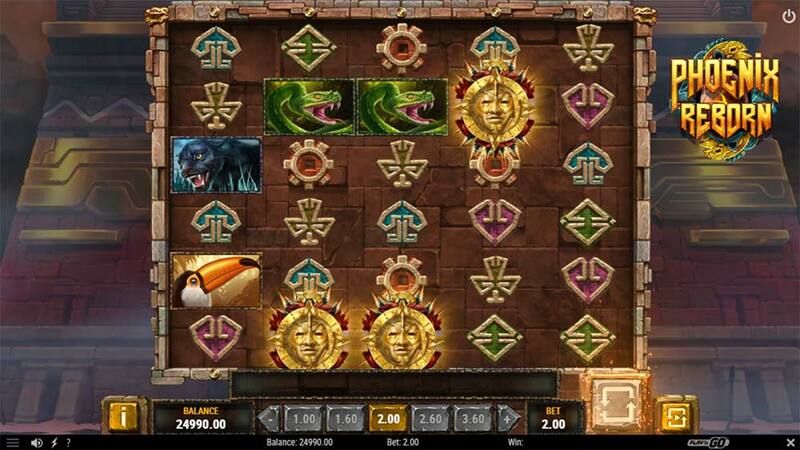 We Go on the Hunt for Aztec Riches in Phoenix Reborn the Latest Online Slot From Play’n GO! 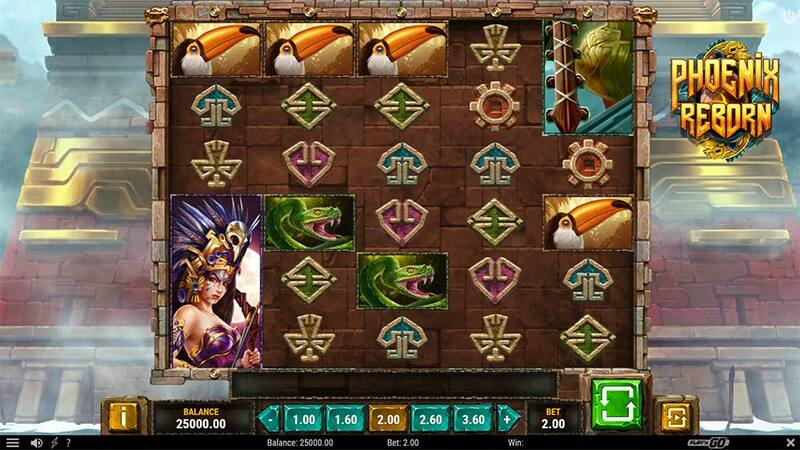 Unibet Casino has just added the latest Aztec themed online slot from Play’n GO titled Phoenix Reborn to their casino, this is a slightly larger reel set machine with a 5×6 reel array but with 40 fixed paylines. The reel strips are made up of a mixture of Aztec themed low paying symbols along with much higher paying stacked Aztec Warrior symbols and of course a very special Phoenix Wild symbol which when landing in view bursts into flames with a very slick animation and then expands to cover the entire reel (wild reel). 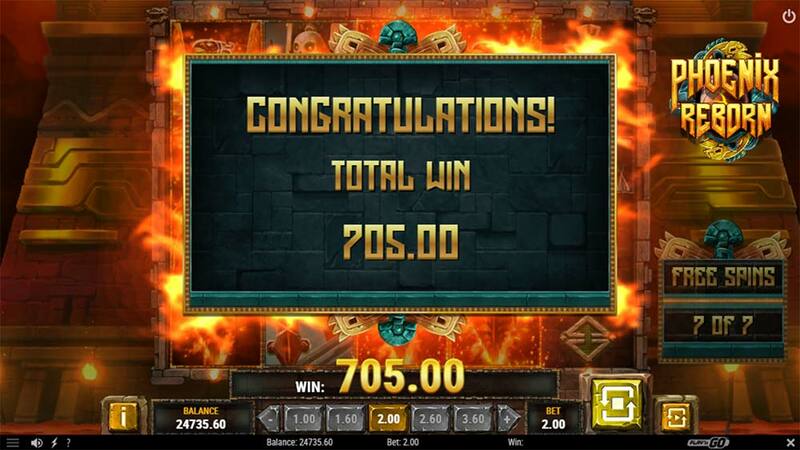 The Phoenix Wild mechanic is the only special base game feature on offer on this slot, fortunately, it does tend to land in view quite frequently so whilst you are generally looking for the bonus scatter triggers, if multiple wilds land in view the base game is definitely capable of throwing out some impressive wins too. 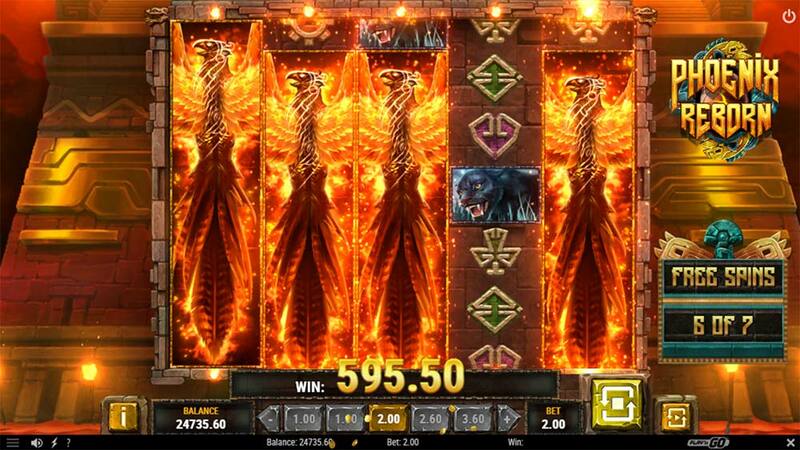 The usual 3 scatters is required for the bonus round with extra scatters awarding more free spins up to a maximum of 20, and during the bonus round things really do heat up with at least 1 guaranteed Phoenix Wild being added to the reels on every single free spin. The bonus round is really where this slot shines as it only takes a couple of regular wilds to land in view and then with the guaranteed wild reel being added the wins can rack up quickly, add to this that bonus re-triggers occur with just 2 or more scatters too! Whilst Play’n GO has pitched this as a 10/10 Very High variance game the paytable for the symbols are a little on the low side, but this is countered nicely by the abundance of wild reels on offer during the bonus rounds! The special Phoenix Wilds will expand to cover the entire reel on which it appears substituting all symbols except for scatters. The free spins bonus round is triggered by landing 3, 4 or 5 Scatter symbols granting an initial 7, 12 or 20 free spins. On each and every spin in the bonus round, you are guaranteed at least 1 wild symbol which will cover an entire reel, with the possibility of landing 4 more on the other reels to completely fill the reels with wilds. 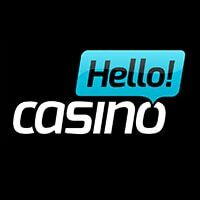 During the free spins, you can gain extra spins from landing 2 or more scatters on the reels! 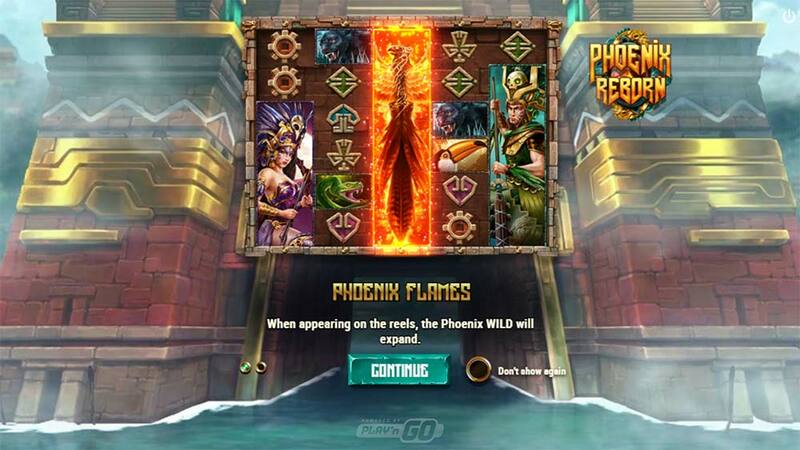 Phoenix Reborn is a nice little slot from Play’n Go, whilst it isn’t bursting to the brim with lots of special features, what you do have is a solid 40 payline slot with plenty of wild reel action and some potential full screens of wilds on offer. In our playtests, we did manage 1 spin during the bonus round with 4 wild reels, that 5th reel would have added a lot more to the overall win but we came pretty close for a short playtest! 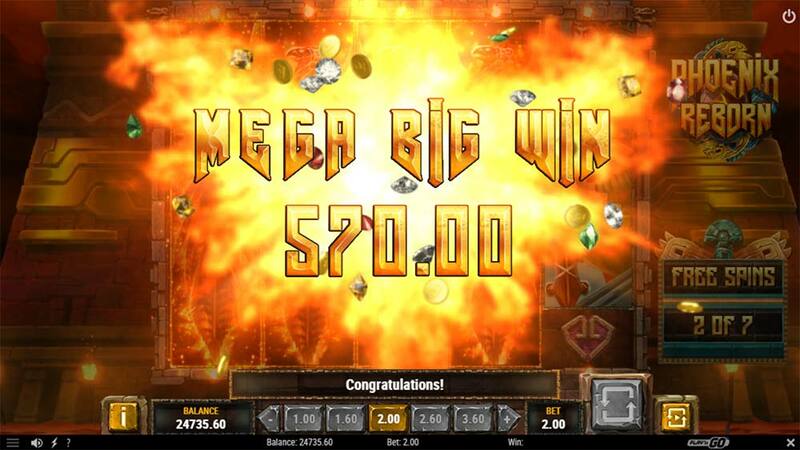 Overall you aren’t going to find anything too groundbreaking here, although if you enjoy slots with wild reels features then this is definitely worth a look and the bonus round is fairly consistent with an added wild reel each spin, our only disappointment was that they didn’t include a base game feature like in Immortal Romance and Ruby Slippers that can randomly add more wilds reels but you can’t have everything!